Intertraffic 2018 has drawn to a close but there’s a lot of fascinating chat on our four SWARCO-sponsored podcasts to keep you informed and up to date. 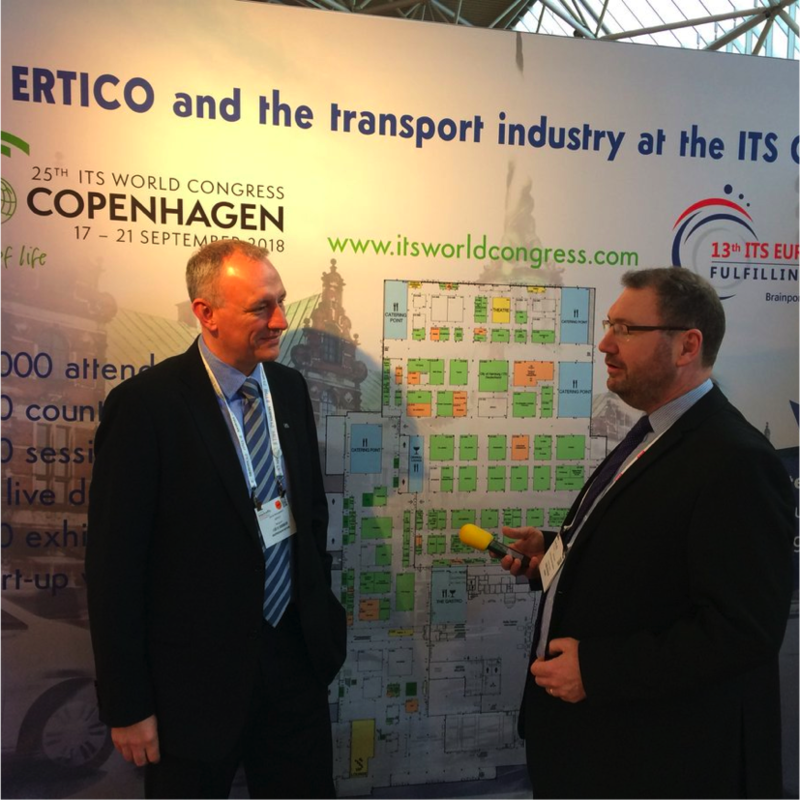 The podcasts, presented by SMART Highways editor Paul Hutton feature interviews with a wide range of opinion formers, exhibitors and visitors from both the transport technology and highways sectors. Programme one featured Richard Neumann of SWARCO talking about the company’s huge range of products on show, while Larry Walsh of ACB-WJ explained the value of being at Intertraffic and we also heard from ITS (UK), Smart Video and Sensing and Jenoptik and looked ahead to TRAFFEX Seeing is Believing in June. Programme two heard from organiser Richard Butter about the event and how it’s changed over the years, and CEOs of two of Europe’s biggest transport technology companies, Cees de Wijs of Dynniq and Vincent Kobesen of PTV Group gave their thoughts about, among other things, smart cities and MaaS. SWARCO explained their mission statement “we improve quality of life by making the travel experience safer, quicker, more convenient and environmentally sound,” and then we heard two thought leaders, SMART Highways columnist Mark Pleydell explained how some technologies will succeed and others, despite being very clever, may fall by the wayside because they cannot make economic sense while Roman Srp, chair of Europe’s ITS Nationals discussed connectivity. Programme three heard from Aimsun about the news they had been acquired by Siemens, AGD highlighted their major new business partnership in Brazil, Kier Highways talked about their fact-finding mission to the event, SWARCO detailed their road markings division and we took a tour of Kapsch’s stand. And in programme four we talked parking with SWARCO, the life-saving SCRIM machine by WDM, Kistler and Nokia Onsite explained what they do in the highways technology field and then we looked ahead two more must-visit future events, Traffex Seeing is Believing and the ITS World Congress in Copenhagen.